Contract for Chaining the Hudson.- When it was resolved to chain the Hudson at West Point-as appears by the Gov. George Clinton papers in the State Library-Co1. Hugh Hughes, Deputy Quarter-Master-General, visited the Sterling Iron Works to contract, in behalf of the United States, with Messrs. Noble, Townsend & Company for its manufacture. In my account of this affair in 1845, I stated that Col. Pickering was the government agent, having been so informed by a descendant of the Townsend family, who, no doubt, inferred so, because Co1. Pickering was Quarter-Master-General later in the war, succeeding Gen. Greene in that office August 5, 1780. From the letter of Peter Townsend, of New York, to Franklin Townsend, of Albany, in 1845, I learned the following particulars about this transaction: Capt. Thomas Machin, Engineer, accompanied the Quarter-Master to the house of Peter Townsend, in Chester, where they arrived late on Saturday evening, February 1, 1778. There the contract was agreed upon by Mr. Townsend for the firm; and so great was their zeal in the popular cause, that the parties left Chester at midnight in a violent snow storm and rode to the Sterling works, a distance of fourteen miles, to commence the job. This enterprising furnace firm had all their forges in operation by daylight on Sunday morning, February 2d; the manufacture of the chain was begun and prosecuted without interruption, and the herculean task was finished and the chain carted in sections to New Windsor by New England teamsters, and there delivered-says the letter of Peter Townsend-in six weeks. The chain was delivered in an incredibly short period. Mr. Machin, in his bill of items for extra expenses that season, did not make a charge of going to Sterling at that date, and the presumption is that Quarter-Master Hughes defrayed his traveling expenses there and back. This contract was dated on the 2d day of February (Sunday morning), having, no doubt, been drawn up at Mr. Townsend's house in Chester, and consummated at Sterling. The work was virtually to be warranted in every particular. In a published account in 1845, accrediting the statement to a geological report made by W. Horton some years before, I gave the weight of the chain at lS6 tons; but this was an estimate approximating more nearly to the weight of all the iron used in the river obstructions at West Point. I am prepared now to make a safer estimate upon the weight of the chain proper. November 20, l848, through the politeness of Col E. J. McCarthy, of Saugerties, Ulster county, I received a link of this chain, which was made of two and one-half inch square bar iron, was two and one-half feet long, and weighed 102 1/2 pounds. Having seen other links of the chain, I should average their length from two to three feet, weighing, say, from so to 120 pounds each. The river at the point spanned by the chain was 1,500 feet wide: 1,700 feet of it was forged, though possibly not all needed. Suppose the links to have averaged two and one-half feet in length, with a loss by the lap of two and one-half inches at each end, leaving the actual stretch 25 inches, then the. chain would require in the whole 1,700 feet (S16 links) ; and suppose those averaged 102 1/2 pounds, the whole weight would be 83,640 pounds, or something less than 42 tons. I have no doubt that 50 tons would quite cover the entire weight of the single chain outside of its anchorage. The Sterling Iron Works were situated in the present town of Warwick, Orange county, nearly 25 miles back of West Point, and have been in successful operation since about 1750. The contract for the Great Chain specified that it should be made of the best Sterling iron, ever celebrated for its goodness; was, to be 500 yards in length (1,500 feet) ; each link about two feet long, two and one-quarter inches square, or as near so as possible, with a swivel at every 100 feet, and a clevis to every 1,000 feet; to be made in the same manner as those of the former, or Fort Montgomery chain. The contract also called for the manufacture of 12 tons of anchors of sizes to be specified. The United States were to pay £440 per ton for those articles, subject to a trade regulation that might reduce the obligation to £400 per ton. An exemption was also made in the contract in favor of the firm from military duty, for nine months from 'the date, for 60 artificers, to be steadily employed at the chain and anchors till completed. The teams of the company were to have the same - pay as other teams had, if any work they carted to destination, being exempted from liability to impressment. The company agreed to keep seven fires at forging and 10 at welding, if assisted, if necessary, and could be by hands from the army, in case other hands could not be procured, a deduction from the price being allowed for their labor. "GENTLEMEN-It will be needless for me to point out to you the great necessity of some speedy obstructions being made in Hudson's river, against gun-boats, galleys and small crafts that will probably come up at the first opening of the spring, and prevent our making such necessary works as may preserve the good people on the banks of the river, from the revenge of a merciless enemy (remember Kingston), towards effecting which, much time has already elapsed and but little done, which drives me to the necessity of applying to the Honorable Committee on this occasion. New Windsor, 22d Feb., 1778. "We shall want 60 white-wood logs 50 feet long and 18 inches diameter at the centre, and if large cannot be got that length, we shall want a larger quantity in proportion to the solidity of the above dimensions. The yellow sort of white-wood is much the best, it being six pounds les8 specific gravity-per cubic foot than the white sort. We shall also want 60 pieces of white oak scantling 12 feet long, 4 by 10 [inches]. The timber must all be pearched and dried [literally to be hewed and lifted from the ground]. The bearer, Mr. Ebenezer Young, will find a proper place to frame and dry them. A large quantity of fire Wood will be wanted to be cut and drawn to the place, which can best be done by people on the spot. I should be glad if you would fix the wages and collect hands for the same. This letter calls for the cutting of the spars upon which the chain floated, and the oak scantling with which they were connected. Just how many were used for floating the chain is not known. The late Gen. Thomas Machin, a son of the engineer who gave the specifications for making the chain and manner of supporting it, assured me that the timbers were got out-so his father told him-as long as the largest trees would afford. Tradition has always made the floats from 40 to 50 feet in length; and it is not improbable the spars were scored full 50 feet. If a buoy was required at about every 100 feet, it would have taken 14 or 15, and one would suppose that for two or three tons of iron, one would be required for their support or use: as it was, the chain was usually out of sight much of the way, and this is probably the reason why Dr. Thacher and others described the boom for the chain. The oak timber being 12 feet long would, with the 60 spars, make 15 floats, each to contain four timbers of one and a half feet diameter, leaving three spaces between them of two feet each for the flow of water. Those spars were cut to an angle or spear shape at each end, so as to afford the least resistance to the current or tide of thc water, and each float would seem to have been connected by four bars. The fire-wood required to be cut with the timber was used where the timber was drawn together in artificially drying it, at a place then known as "Jews' Creek," in New Marlborough. The timber must in some manner, to an extent, have been kiln-dried. I may observe that if the floats were not all required under the chain, the balance were, no doubt, used under the boom, which also required more or less, though possibly not all as long. The floats, says tradition, were also in some manner anchored to the bed of the river-probably by cassoons, or cribs of timber filled with stone, to which they were fastened with small chains. Here is a copy of the original bill of the expenses for procuring the timber for the floats above mentioned, not before published. To 16 days, myself [Edmonds], at 16s. per day " . . ... £12 16 0. To 10. days, Ananias Valentine, at 8s. per day . ... ....... 4 0. 0. To 7 days, Samuel Edmonds, at 8s. per day. . . . .. . . . . 2 16 0. To 2 days, Samuel Smith, at 8s. per day. . . . . . . . . . . . . 16 0. To 5 days, John Wygant, at 8s. per day.. .. .. . . ............ 2 0 0. To 6 days, James Van Blarekum, at 8s. per day.............. 2 8 0. To 3 1/2 days, Nathaniel Celsea, at 23s. per day.. . ...............4 0 6. This paper, which is almost obliterated in some parts, is indorsed "Accounts of drying the Chain Logs at Jews' Creek. Signed and directed 17 April, 1778. The old Chere Man's Account." "LITTLE BRITAIN, March 4th, 1778. "DEAR SIR-I received your favor by Lieut. Strachan with a few lines from Col. Taylor inclosed, concerning a complaint that Capt. Young bas made against Capt. Mills, (both of tbe Artificers,) but as Col. Taylor does not set forth what injury Capt. Mills has done Capt. Young, I can't give you any advice about the matter. "I think your letter seems to confirm the charge against both of them; for what can stain an officer's character more than not doing his duty? A captain of a company of artificers, if be does his duty, will have harder work than any of the privates, and I think you are answerable for their conduct, as you have the charge of the work; and if they don't do their duty you must arrest them, if nothing else will do. "If they be gentlemen of such high spirits as to think it a scandal for them to work because they bear the title of captain, I think they might decide such disputes between themselves without troubling any officer with it. Inclosed you have Col. Taylor's report, and if I must give my opinion of the matter, let me know what stories Capt. Mills has propagated against Capt. Young. in his brief stay at West Point. This letter proves that, although he may have planned some of the work; yet the local engineer was still consulted in its execution. Thaddeus Kosciusco, a Polander, says a biography of him in Drake's Dictionary of American Biography: "was the principal engineer in executing the works at West Point." Lossing says (in his Field Book, vol. 1, p. 704,) that Kosciusco arrived at West Point, March 20, 1778; but does not tell how long he remained there: but some of the most important works were. not only planned but well under way before that date. He no. doubt rendered some important service there, but it is very certain that Gen. Parsons, as well as Gen. Clinton, and Deputy Quarter-Master General Hugh Hughes, well knew what engineer to consult as the most at home in the Highlands. "SIR-As Col. Laradiere has left us, I wish you, if you can, be absent from New Windsor for a day, to come to this port to-morrow or the day after, to advise about the proper method. of fortifying this place. "WEST POINR, 11th March, 1778." "MONDAY AFTERNOON, March 11th, 1778. "MY DEAR CAPTAIN- You will receive by the bearer some paper and all the white rope of the size mentioned we have. I. have sent off Charlie this minute to forward the cordage from Danbury, as well as from Fairfield, but cant say what size there is at the latter [place], as it is sent by Mr. Shaw, of New London, at the request of Gen. Putnam, who never told me the sizes he ordered. I believe there are no more cables to be expected of Mr. Ives till he gets more hemp-at least, I understood him so. In my letter to Gen. Putnam, I informed him while he was in Connecticut, that all sizes would be wanted, and advised that the whole cargo should be bought. "He referred the matter to Governor Trumbull, (and I imagine) the Governor to Mr. Shaw, who may, possibly, serve himself first. However, as I said before, Charles is gone to learn the true state of what is on the road, and forward it along. When he returns, which will be in two or three days, I expect, you shall hear further. I will wait on the general, and let you know his orders concerning the hands. Inclosed you have the general's order for the men required. "LITTLE BRITAIN, March 20th, 1778. "DEAR SIR-I expected to have been to see you before now, but the riding was so bad I deferred it a little while, as I want to go to the West Point. I sent my boy for the papers if they are come. "Mr. Machin will write to Samuel Bronson, at Goshen, to know if he has any knowledge of a lead mine in the mountains, about nine miles off the river, of which he once spoke to Thos. Smith, Esq. "HONORED SIR-Lieut. Woodward, who I told you was at Sterling iron works inspecting the chain, is now returned, and informs me that seventeen hundred feet of the Great Chain, which is more than equal to the breadth of the river at the place last fixed upon, is now ready for use. The capson [capstan] and docks are set up at the lower place; the mud blocks are launched and only wait for good weather to carry them down: four cannon-twelve and nine pounders-are at the beach, also waiting for weather to go down: four more will be ready by Saturday ; and if no unforeseen accident should appear, I shall be able to send down four cannon next week. If the weather should be favorable, I am in hopes we shall be able to take the chain down all fixed in about 6 days. Lieut. Woodward was ordered by Gen. Parsons to assist me at those works, and as he is a gentleman well skilled in mechanical powers, and a person of steady application, it will put me much out of the way to have him removed at this time. Should therefore be glad if you will continue him in the work, as somebody must be in his place, and to take an entire stranger at this time will be onerous and dangerous. "The Honorable Maj.- Gen. McDougal. "APRIL 20th, 1778." Explanation.-A, a battery on Constitution island. B, the great chain suspended across the Hudson. C, Fort Clinton on the West Point. The latter, which occupied nearly the present site.of the Military Academy, commanded a southern approach to the Point. "DEAR SIR-I received your letter of yesterday and am happy to learn that the chain is across the river, at1d that you had the good fortune to accomplish it so expeditiously and so much to your satisfaction. "I am informed that old Mr. Teabout, who lives (or did lately) at Van Deuzen's, near the Clove, has a phaeton that he will dispose of. If so, and it is a neat, good one, as I am told it is, I wish to buy it, provided it can be had at a reasonable price. A new one used to cost about £80. I would be willing to give something more now. Will you call and take a look at it-know the price, and if good and reasonable, purchase it for me. The sooner you see it the better.
" I hereby certify that about the middle of July, 1776, Capt. Machin, of the Artillery, came to Fort Montgomery, and by the direction of His Excellency, Gen. Washington, was there employed in laying out and erecting works for the defence of that place, and for securing the pass to Anthony's Nose, until towards the latter part of August, when Gen. James Clinton took the command of that post. That in December following, Capt. Machin was employed in constructing chevaux-de-frize for obstructing the navigation of Hudson's river, opposite Pollopel's island; and that he continued in that business, sinking the same, making the necessary preparations for fixing the chain across the river at Fort Montgomery, and occasionally superintending the works at that place, until some time in June, 1777, when Gen. Putnam took the command of t.he army in the neighborhood of the North river, and by his orders Capt. Machin was employed in constructing and making booms to draw across the river in front of the chain, till the reduction of that fort by the enemy, at which time he was badly wounded. And I have reason to believe that, upon his recovery, he has been steady employed to this time in the necessary preparations for fixing the new chain across the river, completing one of the booms, the chevaux-de-frize, and raising the. galley which was sunk on the enemy's advance up the river. In justice to Capt. Machin I am bound to add, that, while he was under my command he discovered great diligence and industry in forwarding the different works committed to his care, and that in the execution of them he experienced an uncommon share of labor and fatigue, being often necessarily exposed to work in the water in very cold weather.
" Given under my hand at Poughkeepsie, this 17th of August, 1778. "GEO. CLINTON." Copyright © 1998, -- 2004. Berry Enterprises. Washington’s Headquarters State Historic Site announced that this year’s recipient of the Martha Washington Woman of History Award is history advocate Stella Bailey. Bailey, co-founder of the Fort Montgomery Battle Site Association, has been involved and dedicated to preserving Hudson Valley History for over 50 years. She has worked in over 20 different organizations. 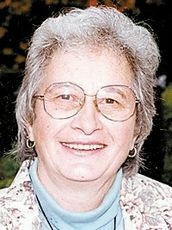 At present, she is the Executive Director and Financial Officer of the Fort Montgomery Battle Site Association, President of the Town of Highlands Historical Society for 32 years, and Town/Village Historian for 19 years. Bailey also finds time to write “Then and Now” columns for the News of the Highlands while busy with community projects such as the Senior Citizen’s Group and the Local Development Corporation for Main Street revitalization. 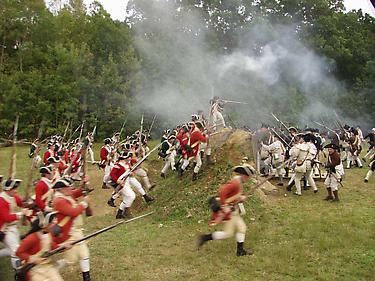 The Fort Montgomery Battle Site Association is the non profit friends group that supports the preservation and restoration of the Revolutionary War battle site. Opened to the public in 2001, the Battle site features a media room, conference room, and museum. Bailey will be added to the list of previous winners of this award, including local historian and author Janet Dempsey, Times-Herald Record columnist Barbara Bedell, City of Newburgh Historian Mary McTamaney, City of Newburgh Record Keeper Betsy McKean, and last year's recipient community activist Mara Farrell. Washington’s Headquarters State Historic Site presents the “Martha Washington Woman of History Award” as part of their annual Woman’s History Month program, “The General’s Lady”. This event will take place on March 31st starting at 1:00 PM at the Ritz Theatre lobby in Newburgh, NY. In addition to presenting this prestigious award, “The General’s Lady” program includes a reception and a special speaker. The program is open to the public. For more information, please call 845-562-1195. In order to properly represent the history and natives of the Fort Montgomery and Bear Mountain areas, we would like to request that information (stories), photo scans, and other sources of information be sent to our email link. Please only include material or memories that you would like to share with your neighbors and friends, wherever they may be. Website suggestions are also welcomed and encouraged. VOLUME I. BY BENSON J. LOSSING 1850. We descended the hills, and proceeded to the site of Fort Montgomery, a rough promontory on the north side of Peploap’s, or Poplopen’s, Kill. It terminates in a steep cliff at the mouth of the stream, and was an admirable situation for a strong fortress to command the river. Almost the entire line of the fortifications may be traced upon the brow of the cliff, which is rocky, and bare of every thing but stinted grass and dwarf cedars. More than half way down to the water’s edge are the remains of the two-gun-battery which was placed there to cover the chain and chevaux de frise which were stretched across the river from the upper side of Poplopen’s Kill to Anthony’s Nose. We crossed to the southern side of the stream, and clambered up a winding and romantic pathway among cedars, chestnuts, and sassafras, to the high table land whereon stood Fort Clinton, within rifle shot of Fort Montgomery. A fine mansion, belonging to Mrs. Pell, with cultivated grounds around it, occupy the area within the ravelins of the old fort. The banks of the fortress have been leveled, its fossé filled up, and not a vestige of it remains. About a quarter of a mile west of Mrs. Pell’s is Lake Sinnipink, a small sheet of crystal water, surrounded by the primitive forest, and as wild in its accompaniments as when the Indian cast his bait in its deep waters. From its western rim rises the highest peak of Bear Mountain to an altitude of more than a thousand feet. 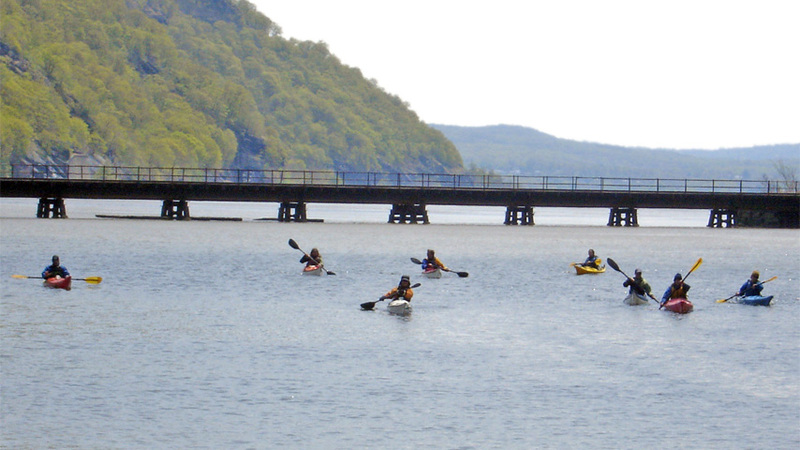 The lake itself is one hundred and twenty-three feet above the river. On June 5, 1712, the British Crown granted 400 acres of land to Dr. Samuel Staats, the first in the present-day Town of Highlands. 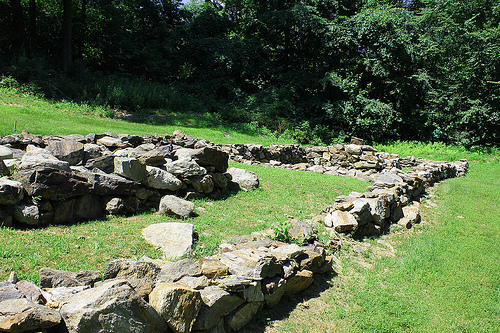 This landstretched along the Hudson in the area which is now Fort Montgomery. A second land grant was to Charles Congreve on May 17, 1723 for 800 acres, now part of the lands of the United States Military Academy, and a third land grant was to Gabriel Ludlow and William Ludlow on October 18, 1731 for 991 acres, including Buttermilk Falls. On December 20, 1750 Alexander Phoenix and others petitioned for a grant of land situated in Orange County near Buttermilk Falls. The land, amounting to 1,000 acres was patented to them on July 13, 1751. Early settlement in what was to be the Town of Highlands was sparse. A 1780 map shows only Garrison and Rose near Fort Montgomery, Davis near the Forest of Dean, Cronk near Long Pond, Faurot to the eastward,and "Swim's Trn" (Swim's Tavern) south of Buttermilk Falls. Undoubtedly, other settlers were in the area as well. 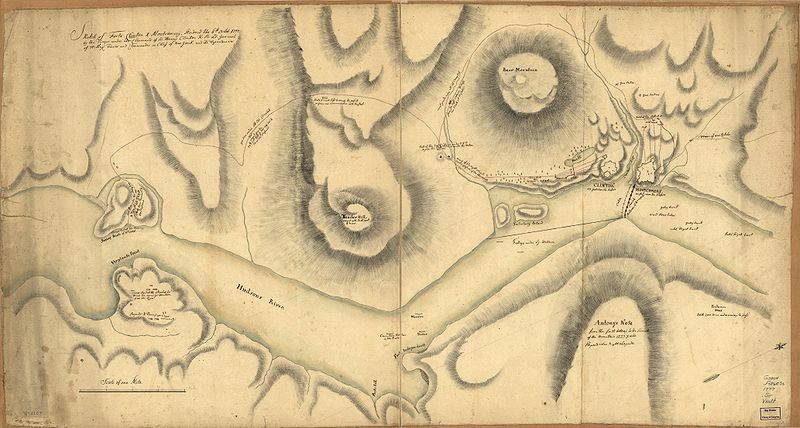 John Moore had acquired the Congreve tract at West Point, and Richard Williams had acquired the 991-acre Ludlow tract, conveying part of it to Nathan Elliot on August 30, 1763. In 1794 he sold a mill site at Buttermilk Falls to David Lydig, the beginning of Lydig's Mill, which was to become David Parry's Mill in the early 1800's. In the 1790's, Eugene Lucer had an extensive business at Fort Montgomery on Popolopen Creek which was "navigable for vessels of 50 tons. Erected on the creek were three docks, three dwelling houses, a store and grist mill. On April 19, 1775 the American Revolution began at Lexington and Concord. In 1776 and 1777, the Americans built Fort Montgomery on the north side of Popolopen Creek, and Fort Clinton on the south side. 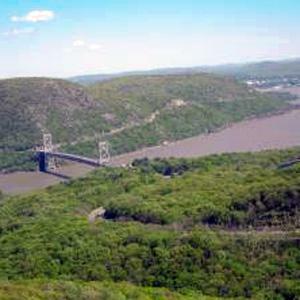 They also placed the first Hudson River chain across the river to the mountain called Anthony's Nose to protect West Point from British forces. On October 6, 1777 the British attacked with an overwhelming force, capturing both forts and dismantled the chain. In 1778, West Point was fortified and a second chain was placed across the river. 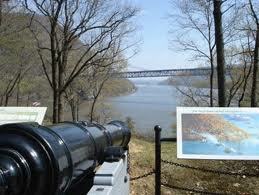 The British never renewed the attack on West Point, and remained a military post. The United States Military Academy was established by Act of Congress on March 16, 1802, and became one of the world's great educational institutions. On April 9, 1814, the Fort Montgomery Turnpike Company was chartered. The incorporators were Nathan Smith, Benjamin Rose, Selah Smith, Robert Davenport, David Havens and James Davis. It's road began "at or near the landing" then occupied by Nathan and Selah Smith, and ran from thence "to the Forest of Dean minehole; thence southwesterly to the Dunderburg and Clove Turnpike, near the house of Isaac Holler, in the Town of Monroe." A post office was established at Buttermilk Falls on July 14, 1849, with Cornelius Nelson as the first postmaster. The name was subsequently changed to Highland Falls. A post office was also established at Fort Montgomery on November 7, 1855, with Jeremiah Drew as the postmaster. 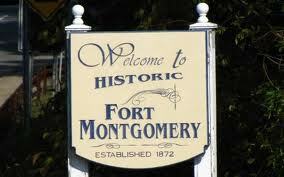 The name "Fort Montgomery" remains today as it originated in 1776 in honor of General Richard Montgomery, killed while leading his troops in the cause of independence.